Candles. Incense. Sprays. I love a good scent. I went to Bath & Body Works after Christmas for their sales, as per usual, & I spotted a sale I couldn't pass up. I've seen the Wallflowers for as long as I can remember but never wanted to pay full price for them. Victory is mine! I scored a really good deal. I spent about $32: got 10 Wallflower refills & one fragrance plug in. I tried to choose the least holiday-related plug in. They only had a pumpkin, snowman, or fir tree. I went for the tree. Hey, I like nature. Looking at their non-holiday fragrance plugs, I really love their pineapple nightlight, the palm leaf or the parrot. Everything was on sale. 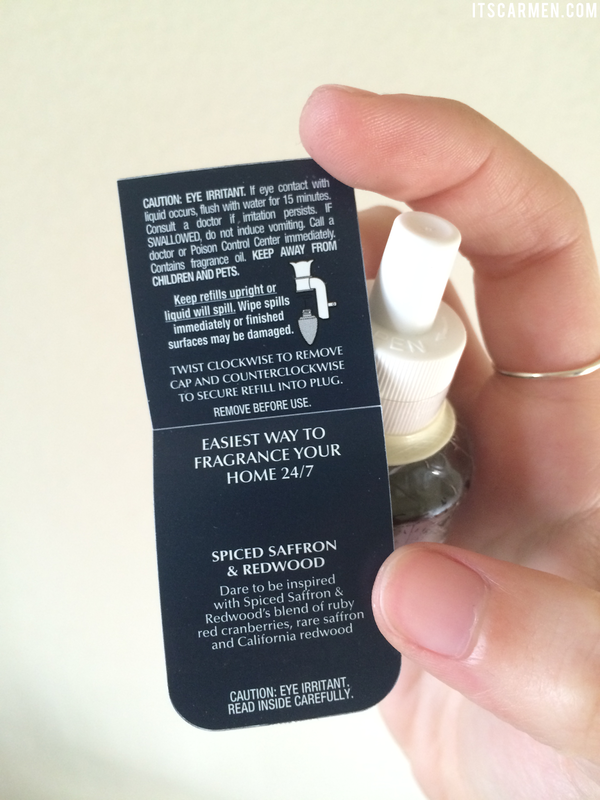 The scent refills are normally $6.50 a pop; I spent only $2.50 each. 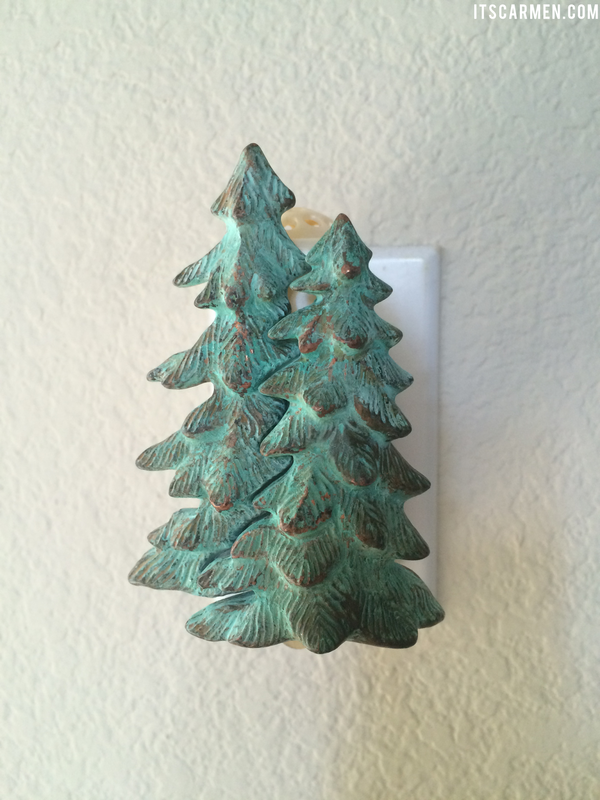 The tree Wallflower plug is normally $9.50; it was half off for $4.75. I bought these after Christmas & have been using mine for about six weeks, so I have a good gauge of how they work. 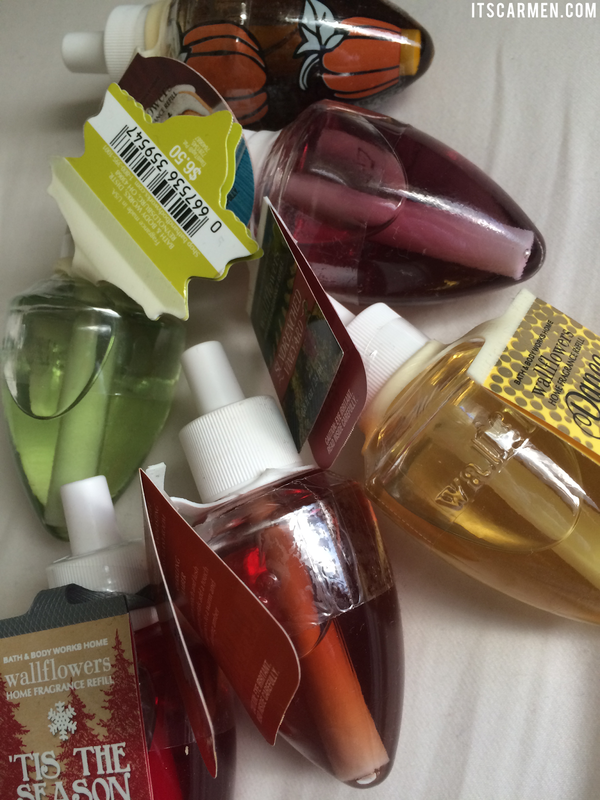 The associate said each Wallflower refill lasts about 4-6 weeks. I would say that's accurate, leaning more toward the 4-week mark. You can tell it's getting low when the liquid starts to disappear. 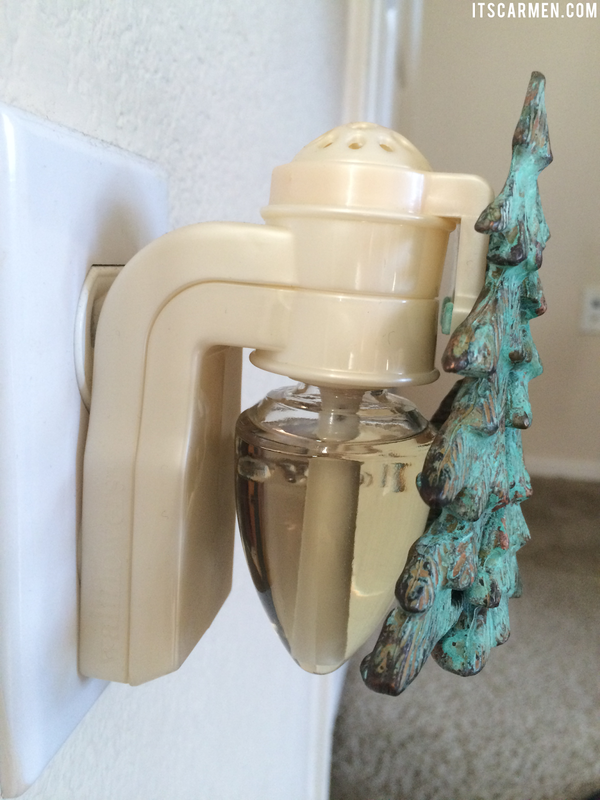 How it works: Buy the plug, remove cap from fragrance, twist in the Wallflower fragrance refill, then plug it in. The Wallflower leaves a lingering scent throughout the room. Mine is located in the bedroom. Basically anytime you walk in you have a nice whiff of the scent. 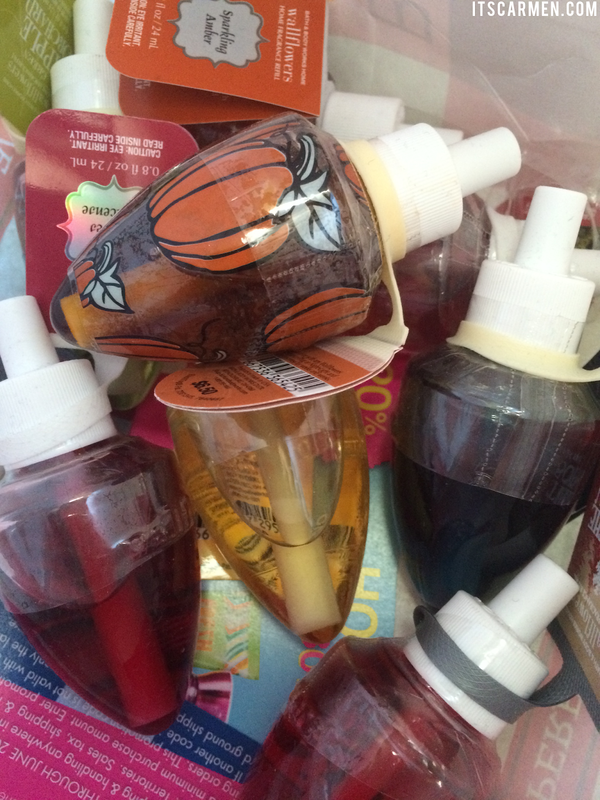 There are dozens of fragrance refills. Some of mine include Sparkling Amber, Be Daring Spiced Saffron Redwood, & Smoked Berries & Incense. The Wallflowers are perfect for those of us who like a good smelling room. I recommend putting this in a smaller area because the scent will not be as strong. I'm pretty pleased with my $32 purchase; I think it will last me most of the year. Well, it'll last until the next big sale I hope! Great review! I love the wallflowers! I like the tree! Good choice. Bath and Body Works is a dangerous, dangerous place for me. I'll walk out with $40 worth of mahogany teakwood candles going "wait, what just happened?!" Wow that looks lovely, thanks for sharing! I've never experienced this brand but as a whole I hate air freshener things for the home, with exception to scented candles, I hate the artificial smell but worst still is that they really irritate my throat and I find it hard to breathe sometimes too! love home details like this! we use this at home!!! i usually wait for sales/deals in store to get them in a lower price! I love Wall Flowers . They smell amazing , and deodorize pretty good. They are great for College Dorms. I'm glad I comes the right time. I am nuts about these are. I love my house have a great scent when you back home from work and open the door and Oooh smell so good. Thanks for the review. :). These look great! I'm going to have to try these out! When i lived in the States, i would stop in a Bath and Body Works store all the time for candles, lotions and all things that smell nice. Very nice post! 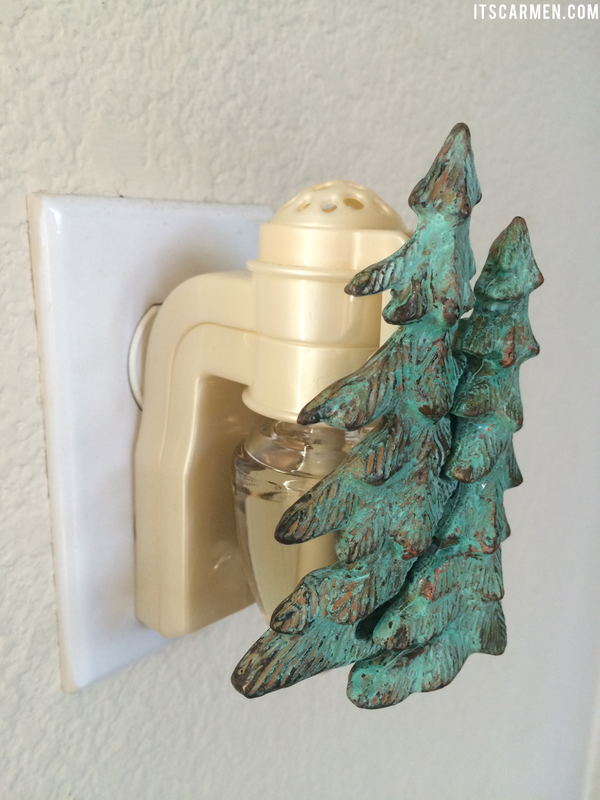 Love the tree plug - super cute! When I buy a home fragrance I want the scent to really FILL the room, ya know, so I worry a bit that these might not be strong enough. But I love the concept. That wall flower looks so cute i cant believe its on sale , great stuff! Loving these plug-ins! That tree one is super cute. Would be awesome in a smaller room. I love a good scent when I walk into a room. Great picks, I love a good scent too. I haven't tried anything from Bath & Body Works yet because I find them to be pricey. Didn't manage to get anything during Christmas sale too because the crowd was crazy! You got yourself some really good bargain here, Carmen! I haven't tried these but love all the scents from Bath and Body! That tree is so cute! I love that tree plug-in...it is so cute! 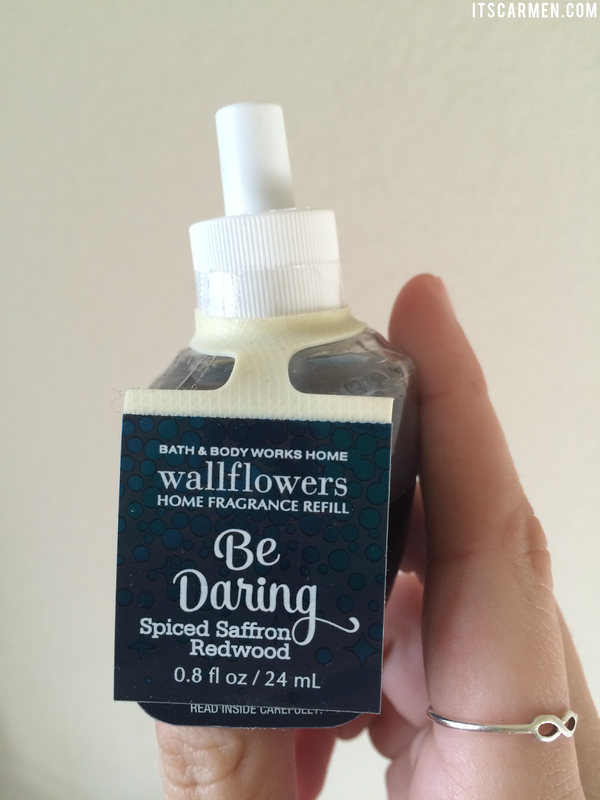 I do love Bath Body Works' for their Body Sprays but will try out the wallflower room fragrance as well. It sure is worth a try. 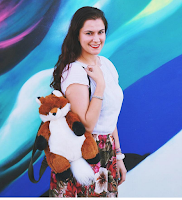 I absolutely love you blog! The layout and content is amazing, we should follow each other?